RANTHAMBORE situated in the Sawai Madhopur district of the Indian state of Rajasthan, Ranthambore Tiger Reserve is compact, yet full of game. Sprawling over an undulating terrain of Aravali and Vindhyan ranges, the park occupies an area of 393 sq. Km.. A system of three artificial lakes enhances beauty of the park. The density of the tiger population at Ranthambore Tiger Reserve is quite high in India. Ranthambore national park is one of the most visited national parks in India. The area got the status of a wildlife sanctuary in 1957 and was d a National Park in 1981. Ranthambore national park was taken under the Project Tiger in the year 1974. The best times for tiger sightings at Ranthambhore National Park are in November and May. The park’s deciduous forests are characteristic examples of the type of jungle found in Central India. A part of the Sawai Madhopur District, the park boasts of thrilling Ranthambore wildlife, forts, temples, palaces and a distinct aspect of nature illustrated by beautiful lakes, rocky hills, enticing ravines and a majestic ambiance that can be explored on Ranthambore jeep safari. Here are the best places of ranthambhore in 2018. True to the imperial identity of Rajasthan, the state’s Ranthambore National Park exhibits royal grandeur through its forts and historical structures. The area that once echoed with the valor of Rajput rulers is today ruled by the stately tigers (repeatedly featured in the international wildlife documentaries) that are equally charismatic and attention-worthy. It’s wonderful to see the tiger habitat and the rich variety of animals and birds–even if you don’t catch a glimpse of a tiger. The safari vehicles are open on top, which allows you to see all around. Be warned that it is very cold in December!. Early morning and mid afternoon trips are offered. The morning may be a better bet for seeing a tiger, but the afternoon trip offered sightings of deer, nilgai, jackals, peacocks, spoonbills, various birds of prey, and more. There are several nice hotels nearby. In India, you absolutely must visit Ranthambore National Park for a tiger safari. The park has tigers roaming the 392 square kilometer area,However, the guides and drivers at the National Park are highly skilled and knowledgeable and do their utmost to help you see at least one tiger on your tour.This amazing and exlusive experience will vanish quickly for everyone. 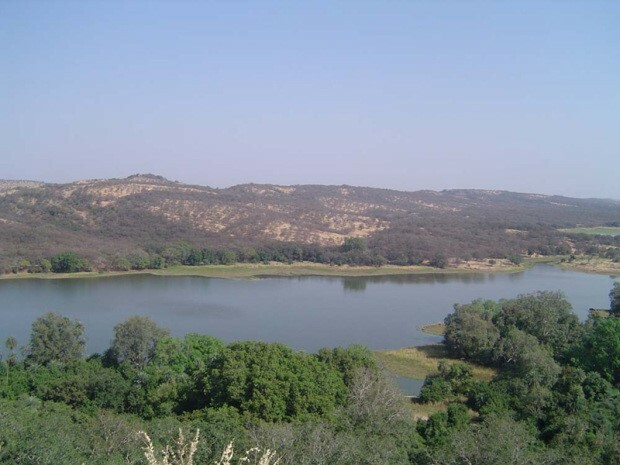 Kachida Valley is situated in the outskirts of the Ranthambore National Park. The valley treasures an array of flora and fauna. A majority of the panther population of the park is found here. Tourists can also witness sloth bears and deer in this part of the park. Travellers can hire Safari Jeeps to tour and enjoy the beauty of Kachida Valley.This valley, which consists of many rocky outcrops and low hills, is located close to the outskirts of the park. A jeep would be the ideal mode of transport when trying to visit this area. This area contains a majority of the Panther population of the park. The panthers avoid venturing into the main jungle to avoid conflicts with tigers, who are known to kill them. This area also has a good population of beers. The valley is inside the park and is water hole where the animals come to drink water. We did not find any of them when we were there but it made good pictures for kids. Place of historical importance, one of it’s kind temple where Ganesh ji is with his complete family, Ridhi Siddhi and shubh laabh. If you are visiting Ranthambore during Oct to Feb months then, You are going to enjoy awesome sunset views & have some nice clicks. 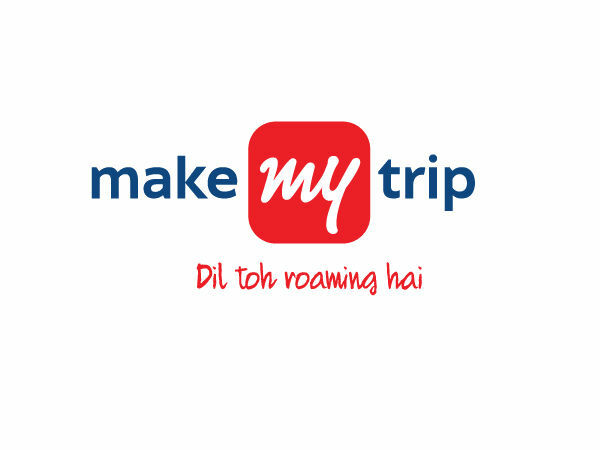 There are lot of other attractions too like the Rani Mahal, Jain Mandir, Kali Mata mandir along the way. Must try the stone homes as you will see lot of them & you will get interested but you cant break to build yours. Beware of Monkeys near the Ganesh temple specifically if you are carrying food items & prasad while return. 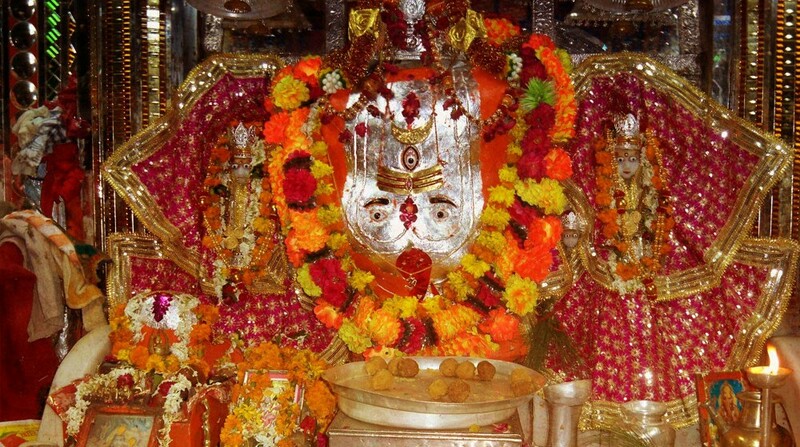 On the top of the imposing Ranthambore fort amidst the forests is the ‘Trinetra Ganesh Temple’ the fort has seven gates to cross before one reaches the top to the temple. Many animals and birds could be seen at the eye level, specially monkeys and peacocks. It would take some time and effort climbing up but totally worth the efforts. Some sign boards also show information from history. The place is well maintained Some interesting facts about this temple – The idol has three eyes.It is believed that if you make a house with stones in front of the temple, you will soon have a house of your own. And there are actually many such houses there. In many castes in India, the first wedding invitation card is usually sent to this temple to invite lord Ganesha and seek his blessings. The fort is known for the glory and valor of Hammir dev of the Chauhan dynasty. 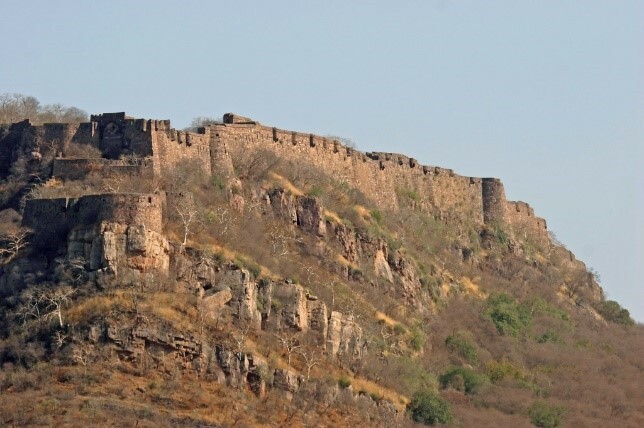 In 2013 Ranthambore Fort, along with 5 other forts of Rajasthan, was declared a UNESCO World Heritage Site under the group Hill Forts of Rajasthan. anthambore fort is second largest fort of Rajasthan..majestic fort of Rajasthan…many temple, tomb situated here….famous Jogi mahal situated in national park saw from Badal mahal.. Ranthambore Fort lies within the Ranthambore National Park, near the town of Sawai Madhopur, the park being the former hunting grounds of the Maharajahs of Jaipur until the time of India’s Independence. 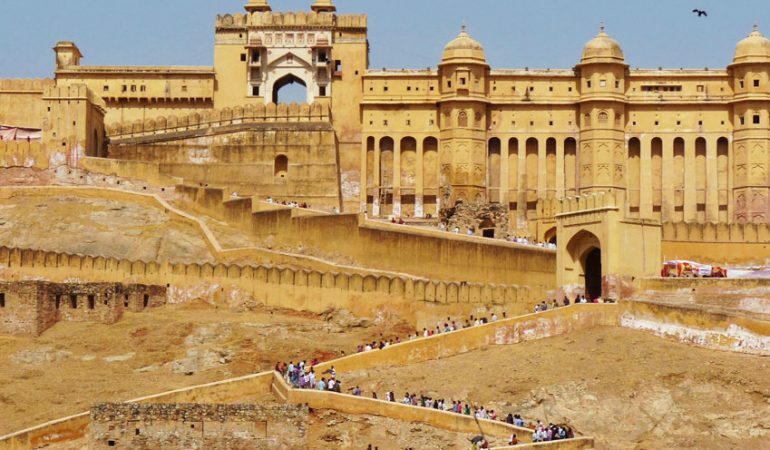 It is a formidable fort having been a focal point of the historical developments of Rajasthan.. The museum is very good and aims at creating awareness of diverse life on earth. It shows the geography of the western region, animal artefacts, and flora, fauna of the region is depicted here. 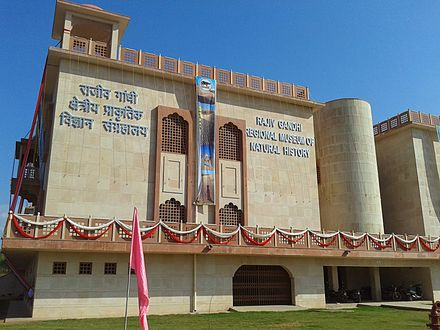 It is a new place and hence looks lovely – there is information on various plants, animals from the regions of India – The stuffing of animals like tiger, lion… etc looks deadly – there is an Eco theatre and do not miss the wild film shown – ideal to go with children.This main part of museum is dedicated to life of nature. It exhibit the flora, fauna, minerals and explore the geology of the western region of India. Have also live demo of pottery making / painting making. Good for information. The museum turned out to be quite an adventure Museum had a free entry and surprisingly had a very wide and in-depth collection of wild animal exhibits and audio visual displays. Firstly, plan your tour well in advance and book your safaris online. 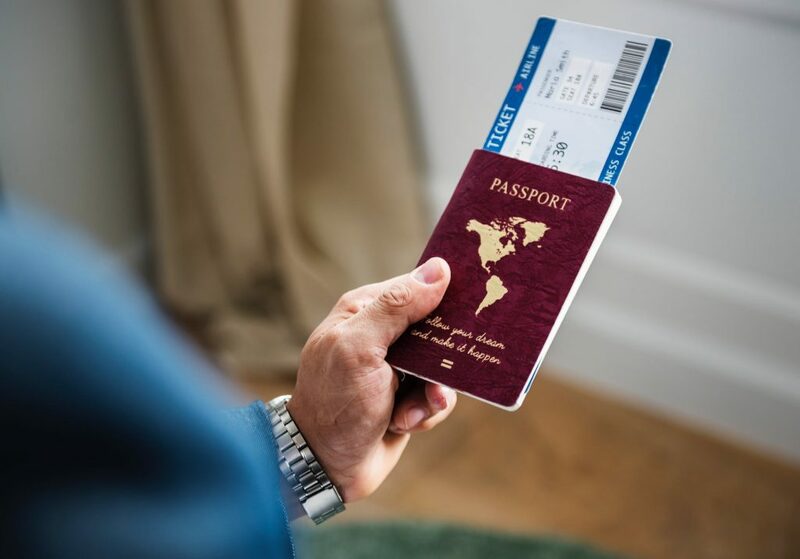 This will not only assure your zone but minimize your expenditure also. Here I shall advise you to stick to the core zones as they are always active..Secondly, if you book multiple safaris have a mixture of both gypsies and canters. Gypsies are better for almost all counts but sighting is grand from the elevated position of a canter… The best time to visit the park is summers and you have enormous chances of sighting the tigers, leapords and other species of animals. 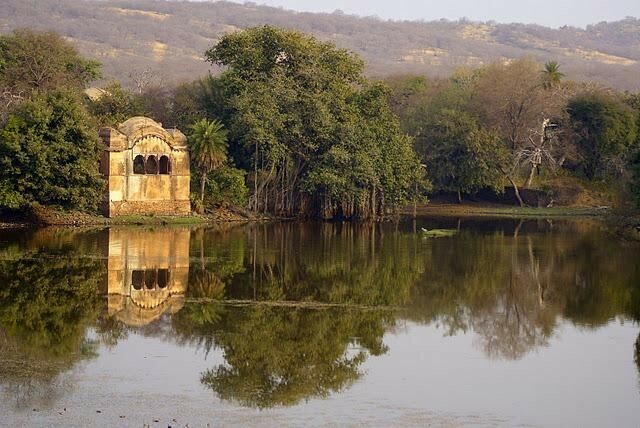 Located between the Padam Talao and Raj Bagh Talao is one of the rich heritage of the Ranthambore – The Rajbagh Ruins. Surrounded by the natural beauty, this park adds the spark to its picturesque view. Thick forest cover makes the ruins a majestic monument in Ranthambore that will not give you not only tutelage to the pre-historic times but also the breath-taking view of the surroundings where wildlife live. Considering the experience of the people at this attraction in Ranthambore, many of them have encountered tigers here as tigers are known to take shelter. These ancient palace ruins, including domes, steps and arches of rustic undertones are sandwiched between the Raj Bagh Talao and Padam Talao. The charm of these two gorgeous lakes is enhanced by the presence of these royal and dramatic structures, giving the place a truly magical feel. The ruins are said to be from ancient Rajput constructions, who also built the famous Raj Bagh Fort. The school is run by senior artists who train the younger generation and give them a livelihood and a platform to showcase their work. There is some time the artists spend at work. 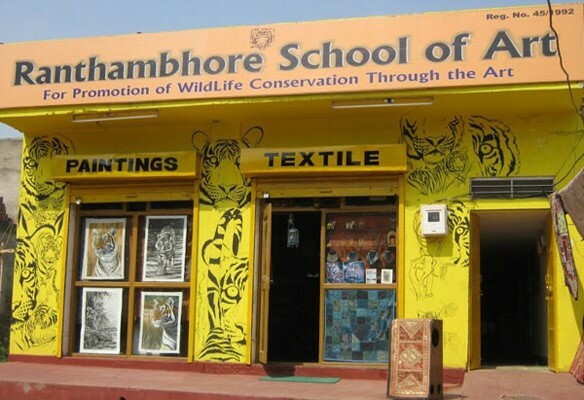 The school is one of the best – best kept secrets of Ranthambore / Sawai Madhopu.The name is very pompous. It is exclusively for the art lovers. It’s basically a great workshop room with paintings in different media with the tiger theme. The artists can give you a little demo to explain their skills. They are really good. Art from 2000 to 25000 Rs rs are for sale. The Charcoal paintings are treat to watch. one can understand different dimensions of art and color … guided by a master craftsman and a wonderful human.